Willard Mwemba began his career in competition law at the Competition and Consumer Protection Commission in Zambia in 2006. He worked at the Competition Authority in Zambia for close to seven years before he joined the COMESA Competition Commission. While at the Competition Authority in Zambia, Willard rose to the position of director of the mergers and monopolies department. During his employment at the Competition Authority in Zambia, Willard handled high-profile cases and initiated investigations on high-profile cartels. Willard joined the COMESA Competition Commission in January 2013 and became its first head of the mergers and acquisitions department. He currently heads both the mergers and restrictive business practices divisions. Willard has written extensively on the subject of competition law and has spoken at several high profile fora. He is usually invited as a guest lecturer on the subject at universities and colleges in Zambia and beyond. Willard has also helped a number of national competition authorities in developing and making operational their mergers and restrictive business practices divisions. He has been instrumental in the reform of the COMESA competition law regime. 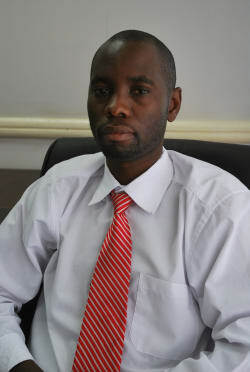 Willard holds two bachelor’s degrees with specialisation in law and economics from the University of Zambia. He also holds a master’s degree in European Union competition law from King’s College London. He is currently pursuing a PhD in competition law at the University of Cape Town, and is expected to complete this in December 2018.